We only had three days in Hong Kong. It seemed like a very short time to experience this diverse and fascinating place. But honestly, for this brief visit we were really only after one thing: eating traditional Cantonese dim sum. These little bite-sized snacks became a favorite treat that we frequently shared with a large group of family and friends while we visiting Boston’s Chinatown. So we were thrilled to have the opportunity to sample dim sum in Hong Kong, along with a variety of other specialties during our recent trip. 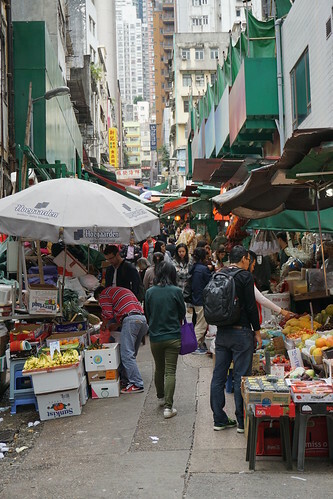 In order to find the best treats that Hong Kong had to offer, we joined a tour with Context Travel. Their tours are always small groups (in this case a maximum of 6 people) guided by a local specialist, or docent. We knew the company well after having taken tours with them in Istanbul and Rio de Janeiro, so we confidently placed ourselves in their hands. Experiencing the food scene in Hong Kong with someone who grew up there and was passionate about his city was an opportunity that we weren’t about to miss. 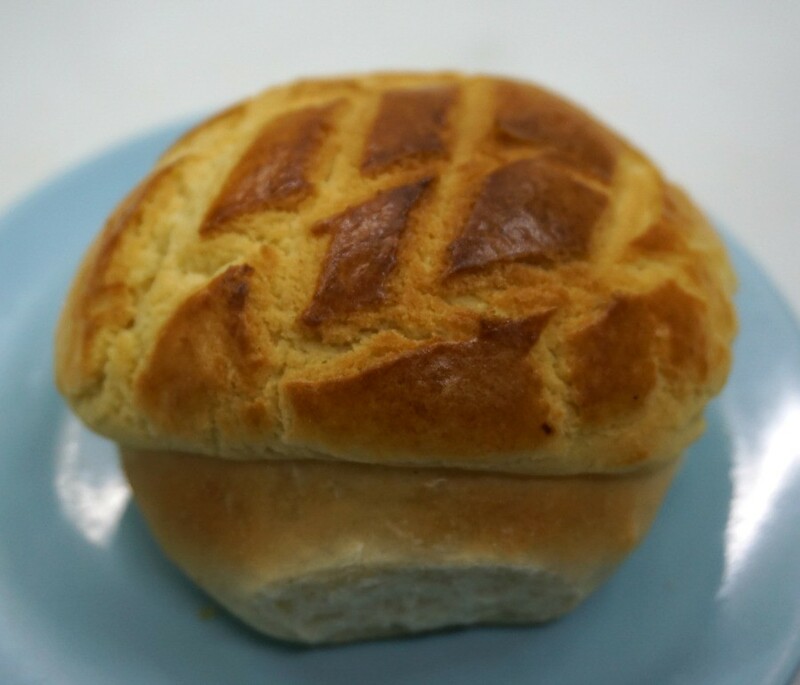 We started off by stopping by a small family run bakery where we tried two kinds of Chinese buns along with some milk tea. One was scented with pineapple and the other was a flaky pastry filled with chicken. According to our guide, Adrian, small establishments like these are becoming more and more rare. 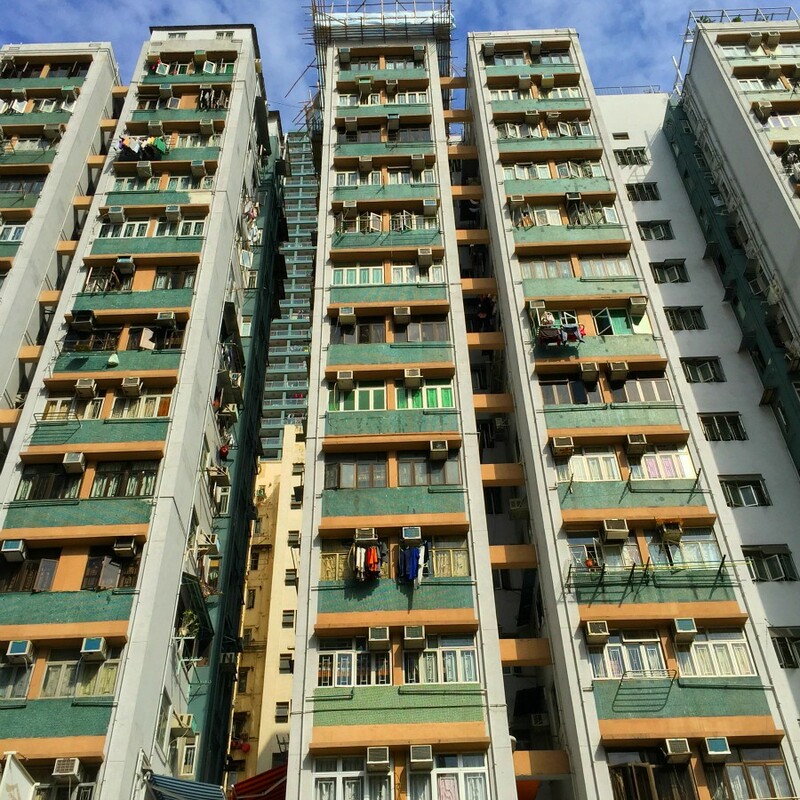 This is partially due to the high cost of renting space in Hong Kong. It doesn’t take long to notice the premium on space in Hong Kong. A family will squeeze itself into a 500 square foot apartment with a purchase price of a staggering $1.5 million dollars. You can imagine the difficulty making ends meet running a small business under those conditions. Our next stop was also a small family run establishment featuring noodle soup. 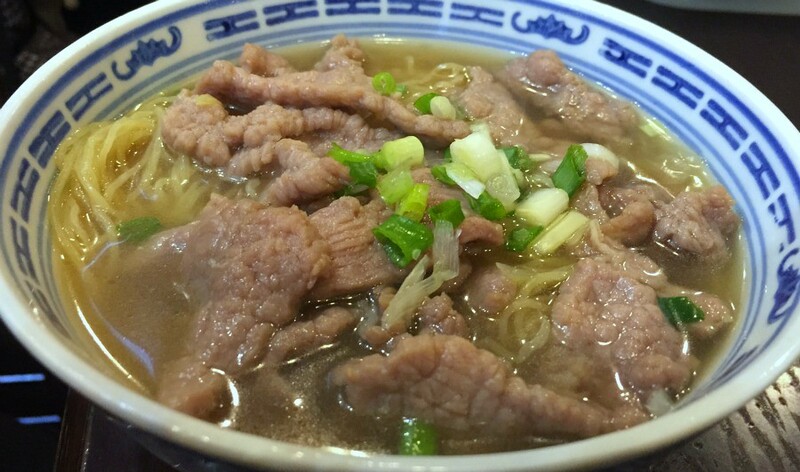 We sampled both a beef noodle soup and the one that the shop is best known for – shrimp wonton. 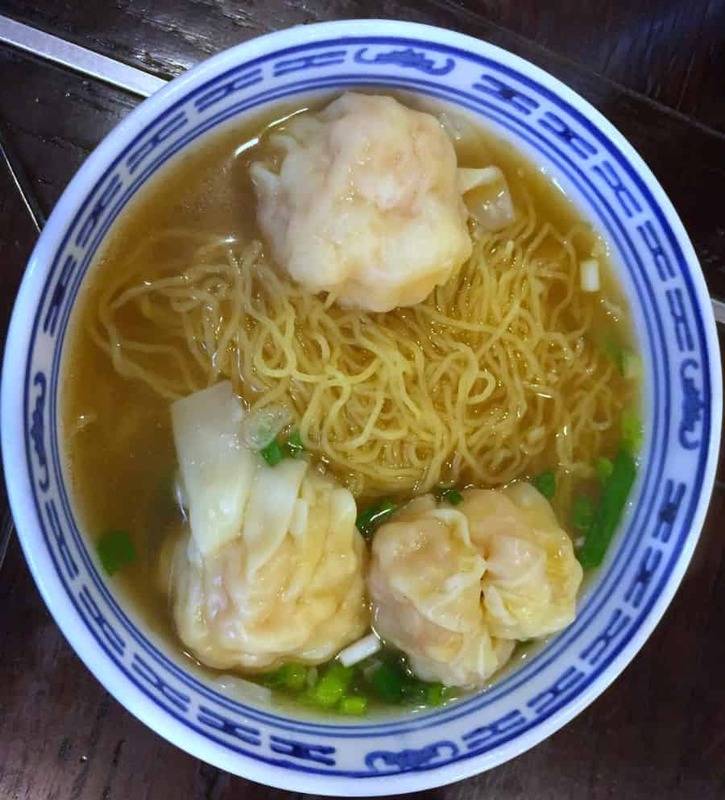 The family still makes the wontons in-house and the shrimp they used tasted very fresh and sweet. We walked by many street vendors nearby and saw lots of live fish and seafood on offer and clearly those fresh ingredients were not lost on our soup. We struggled to muster up restraint and not gobble down the whole bowl knowing that there were several more stops planned on our food tour. We then wandered into a whimsical dim sum shop which was one of our favorite stops. 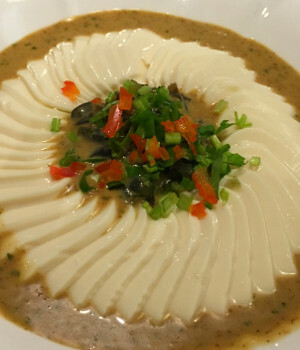 Here, all of the dishes were artfully presented and absolutely delicious. The presentation of the food was incredible, including pork buns shaped like pigs and mushroom buns that looked very much like a large, fluffy mushroom. 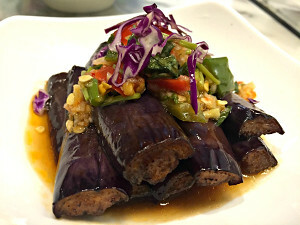 This was not your classic dim sum restaurant, but more of a fusion of traditional and avant-guard, but I’m so glad we went here as everything we tried was fantastic. 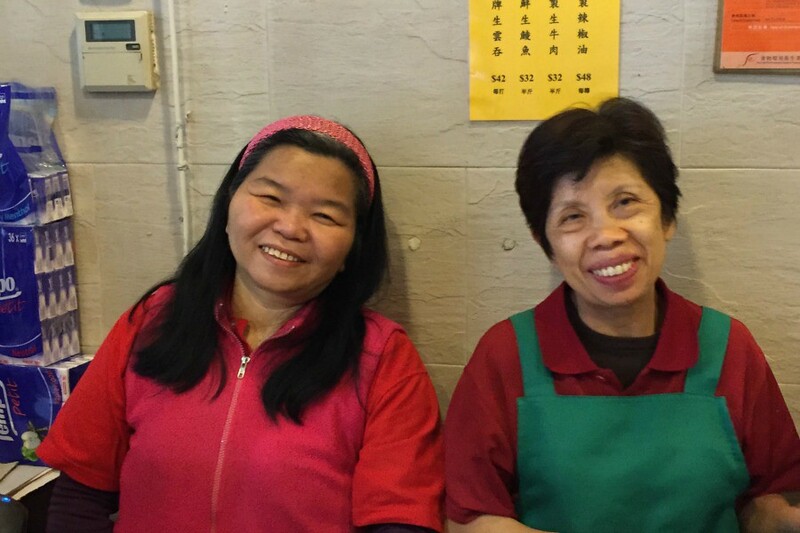 Adrian confided that this was one of his favorite places to have dim sum and we can understand why. And we never would have known about it without him. 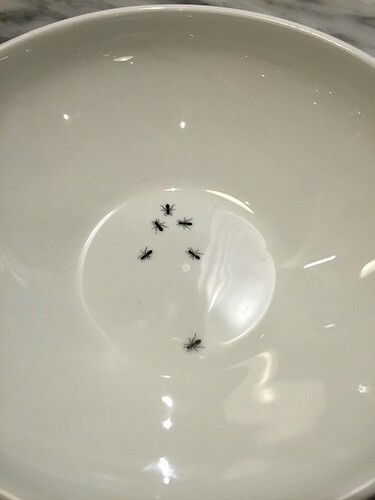 Note: Not real ants, just painted on the plate. At this point, Adrian surveyed our small group and rightfully observed that we were getting pretty full. We spent the next half hour peeking into shops and exploring the old neighborhood. We found a traditional pharmacy where a doctor was available to examine your tongue, peer at your face, take your pulse and write a prescription of herbs and other natural substance to cure whatever ailed you. 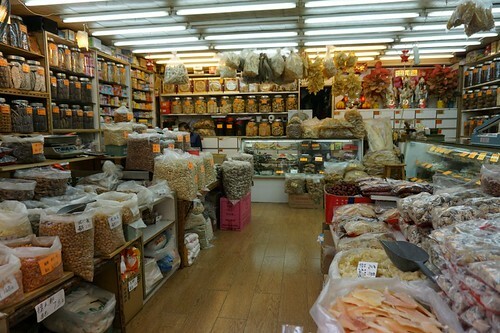 We also stopped in on a tea shop, spied on a busy traditional dim sum restaurant and a vendor making congee. Congee is a typical Asian dish made of rice that is similar to porridge, topped with meat or fish and spices. It was fascinating seeing the tiny open air shops, markets and restaurants that have been doing business here for hundreds of years. All with a backdrop of a huge modern city – old and new mingled together harmoniously. Now with a walk under our belt we were ready to turn our attention to dessert. And how could we possibly leave Hong Kong without sampling the famous egg tart? Adrian directed us to a shop known to have the best egg tarts in Hong Kong. I can’t verify his claim (although I have no reason to doubt it) but I can tell you it was warm, not too sweet, and a wonderful last bite of our food tour. There was also a healthy line waiting for fresh tarts, which is always a good sign. 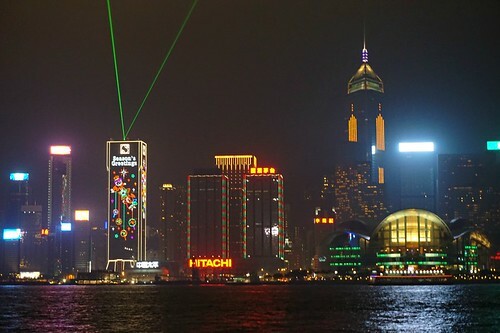 I can say we enjoyed other sights during our the days in Hong Kong, such as the 15 minute symphony of lights show on the harbor that happens every night at 8:00 p.m. It was a spectacular. 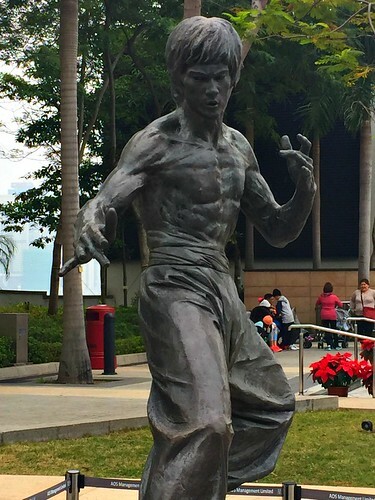 And we loved wandering along and finding interesting random things, such as some amazing street art and this cool bronze homage to Bruce Lee. Hong Kong certainly has lots to offer, and we plan to explore a whole lot more during a future visit. 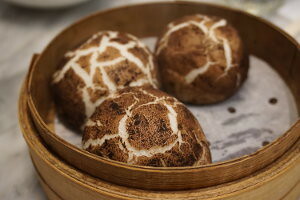 But we left feeling completely satisfied that our search for Hong Kong dim sum had been successful. Until next time – Peking duck anyone? Thank you to the experts at Context Travel for hosting us on this tour. We would not have found many of the amazing things we tasted without your guidance! Looking to save money on airfare? Here’s how we save thousands of airfare. Note: Some links on this article are affiliate links, which means that if you decide to click on and or make a purchase, we receive a small referral fee (at no additional cost to you). 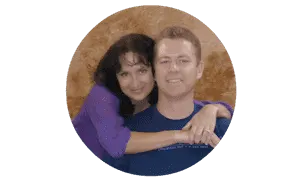 So click away! And if do, thanks in advance for your support – we appreciate it! I love the ants painted into the plates. Now that is cool. I can’t get over those dumplings! Love your post. 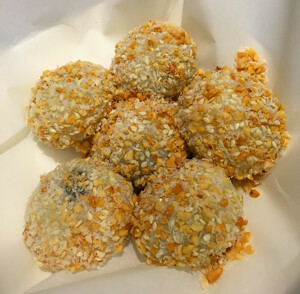 It sounds like you found all the delicious food we missed in Hong Kong! I ended up with more entrails, bones, and fish broth than I would have liked. Amazing pics. 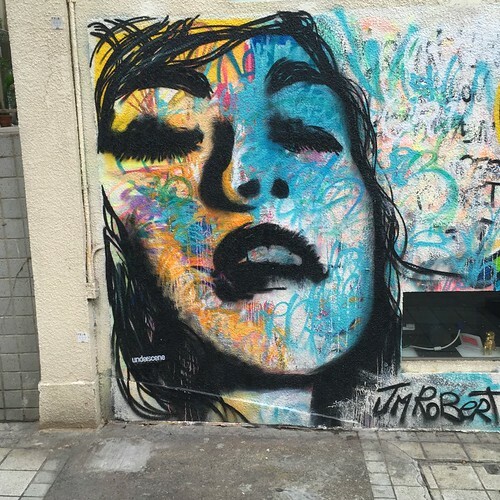 I loved Hong Kong. I really miss dim sum living in Greece. Could always go in NY or San Fran when I lived in either city. 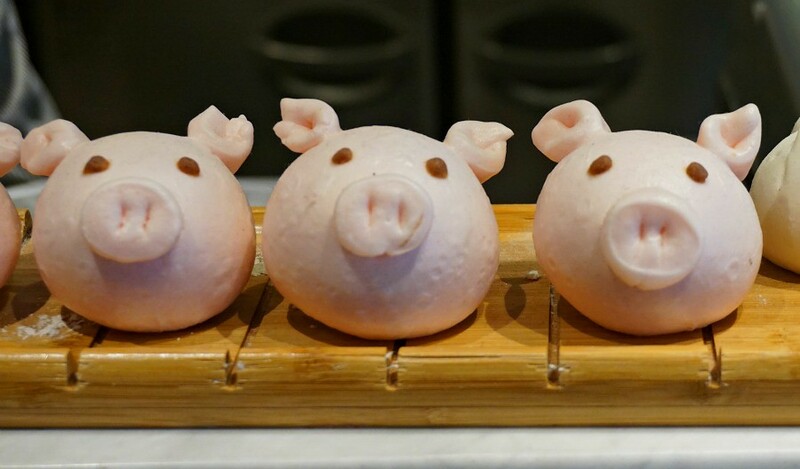 Those pig dumplings are too cute. Thanks! I really enjoy dim sum too. Right now we’re in Italy for a few months. So far, no dim sum in sight.